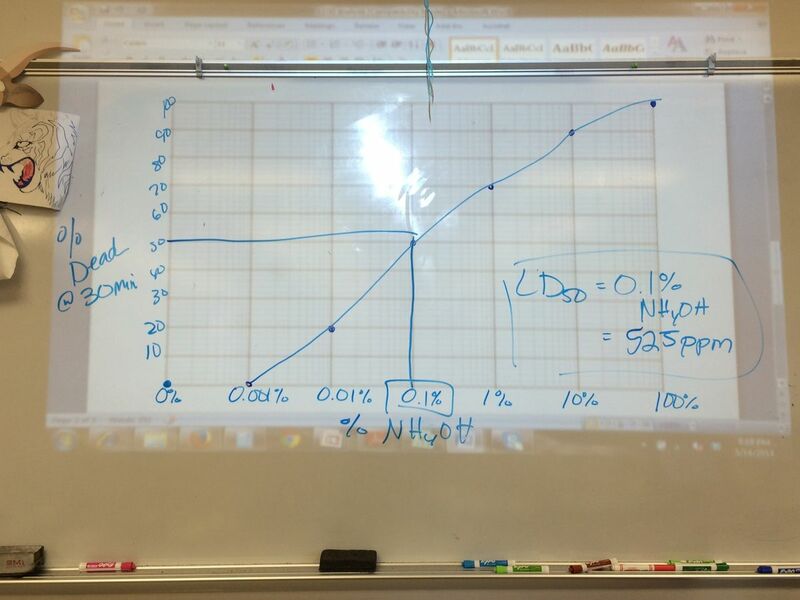 While the objective today in chemistry was to practically apply molarity and dilutions, students got a real shock about life and how animal testing actually works in the 'real world'. In class they just used crickets, but Ms. King reminded them that companies test on rats and monkeys. 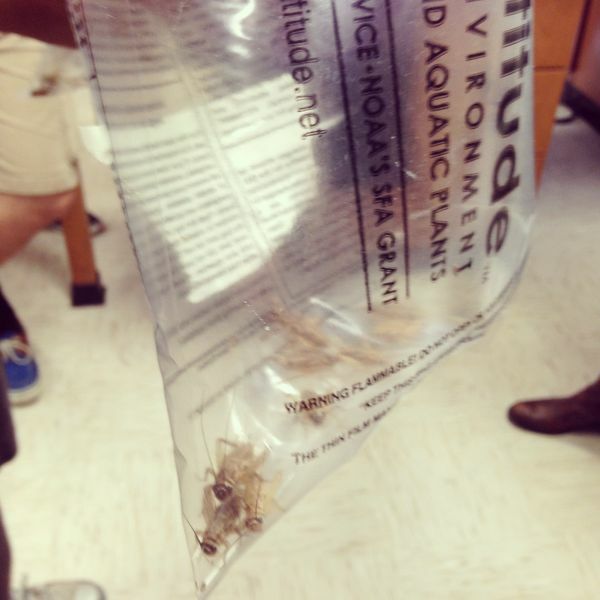 These crickets were subjected to varying amounts of ammonium hydroxide (the ammonia in your household cleaners is a diluted form of this chemical), and the students calculated the concentration at which 50% of the crickets were killed.